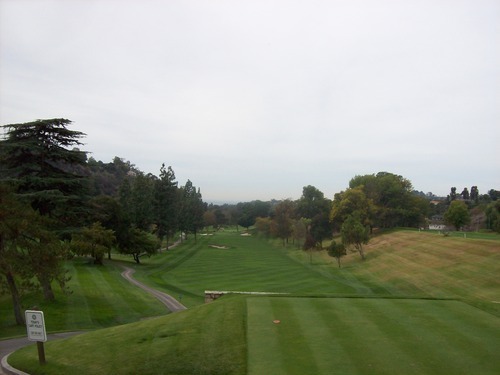 I was excited to play this course as part of an SCGA member outing. I’ve always heard some great things about this club. 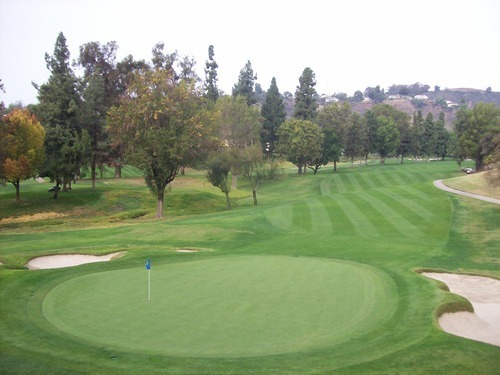 Though not usually mentioned in the same breath with classic, high-end LA clubs like Riviera, LACC or Bel Air, I’ve always gotten the sense that members here have held this place in a similar esteem since the club’s inception back in 1920. Other than the more modern clubhouse that was redone fairly recently, this place does evoke that old school country club feel. 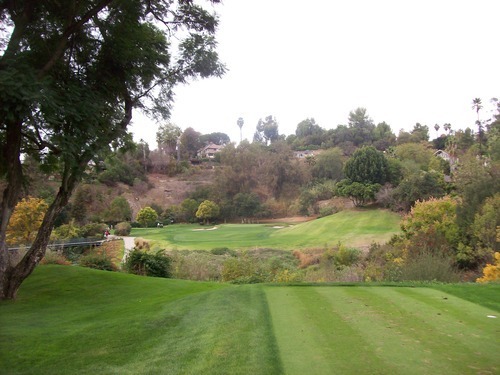 It is very tucked away in the hills of La Habra Heights and surrounded by some giant hilltop homes. 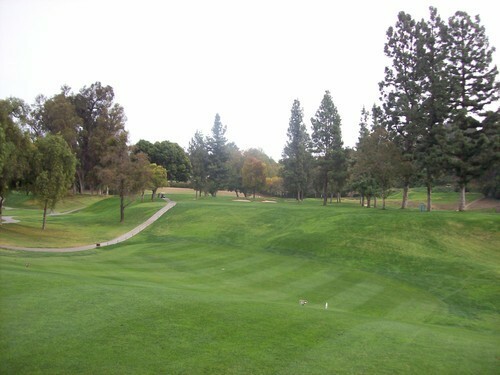 The course itself is a traditional older design lined by mature trees and shaped by the naturally hilly terrain. We had a 10:00 shotgun and a large group out there. 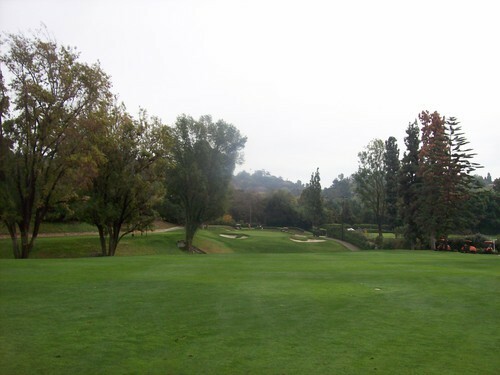 The price was $100 per player, which is steep for a normal round of golf, but it seemed pretty fair for a course of this caliber. Despite the big group, the pace of play was nice and we finished in around 4.5 hours. I was lucky to be in one of the groups starting on the 10th hole, which meant I at least got to experience both nines in their entirety. It may be hard to describe the appeal of this course. There isn’t any super dramatic scenery or too many holes that really make you go “wow,” but it is just really, really nice all the way around. 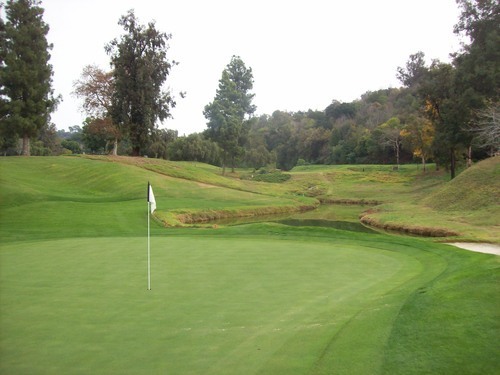 Each hole presents a unique challenge and layout, yet it all flows together beautifully. The primary designer back in the 1920s was acclaimed architect, William Watson. 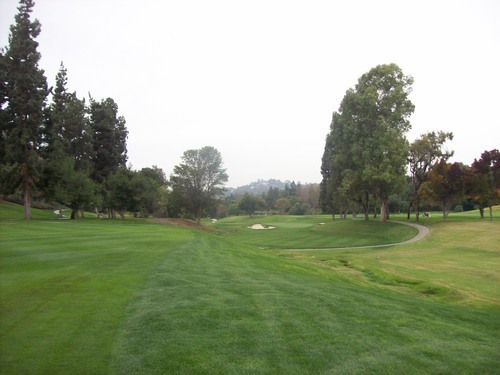 However, in reading the history on the course’s website, it is clear that a number of other notable architects had some influence by the time the layout was finalized. 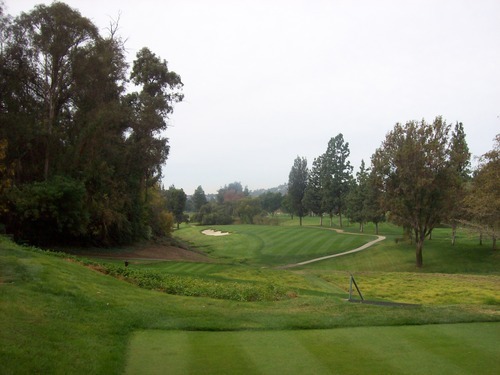 The course went through a major renovation in 2005, led by John Harbottle III. 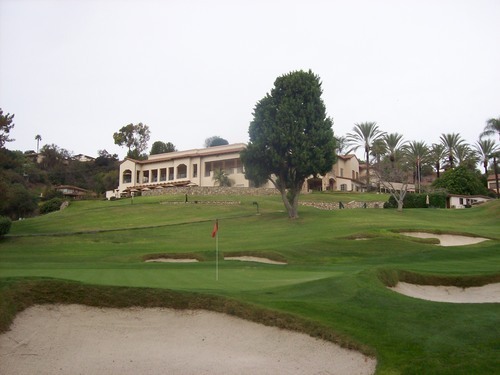 One distinctive feature of Hacienda is the shape of the fairways on many holes. Several have big shelves that drop down to a lower section of fairway. This provides options on some holes. 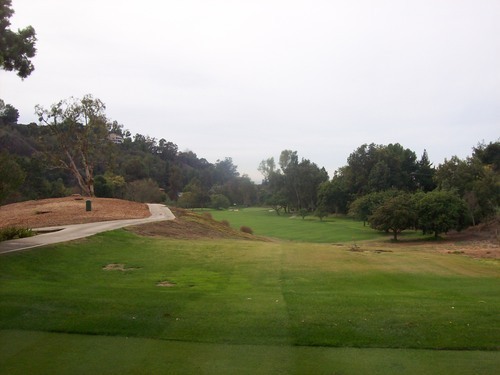 If you catch the slope and end up on the lower section, you will have a much shorter shot in, but your approach view will likely not be as favorable since most of the greens are elevated. If you stay on top, you’ve have a great look at the green and a more favorable angle of attack, but you’ll have a longer approach. 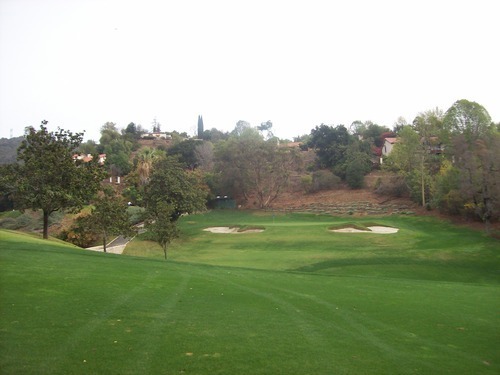 The bunkering around the greens is also very distinctive and reminiscent of another old school country club I had the opportunity to play recently: Saticoy Country Club, which was also renovated by Harbottle at one point. With steep grass-covered faces and intricate shapes, these traps are best avoided if you want to post a good score. 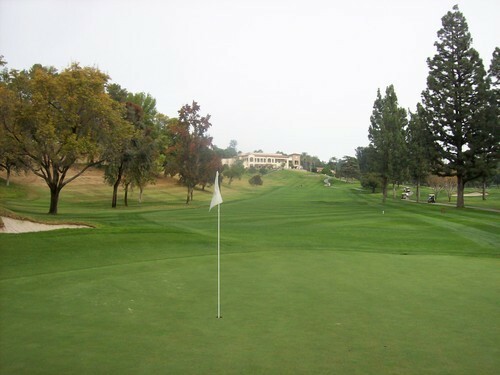 Really, any time you miss a green at Hacienda, you’ll feel a little short-sided because chips and pitches can be tricky. 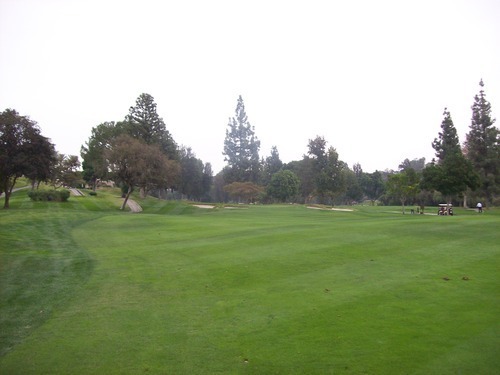 What makes those short shots so intimidating is how fast the greens are. 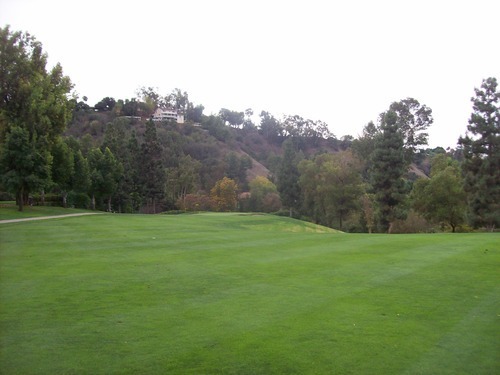 None of the slopes are super severe, but the ball is hard to stop once it gets rolling. 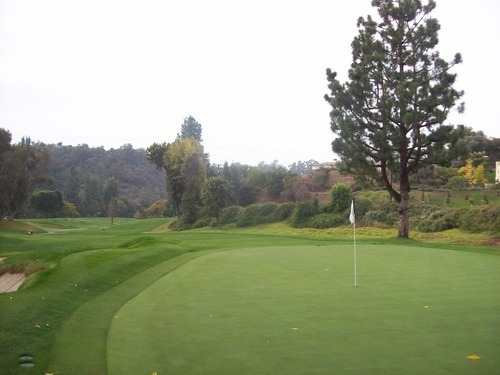 Uphill putts require a firm stroke. Downhill putts just barely have to get tapped and then you hope and pray you found the fall line. Otherwise, it will likely roll swiftly past the hole. 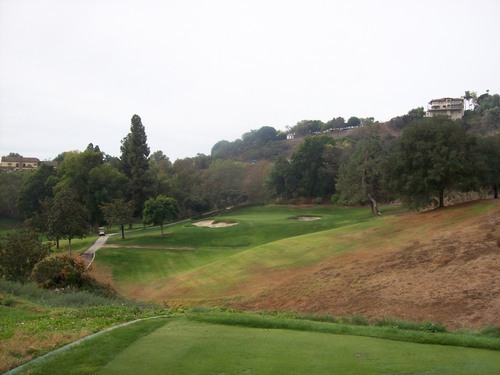 The signature hole here is the par-3 16th with a slight downhill shot to a very well-protected green. 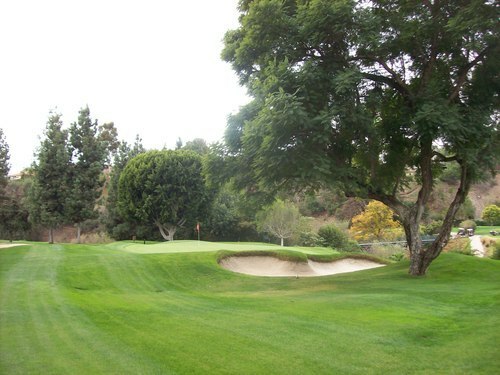 A pond guards the front and big bunkers sit on either side of the green. 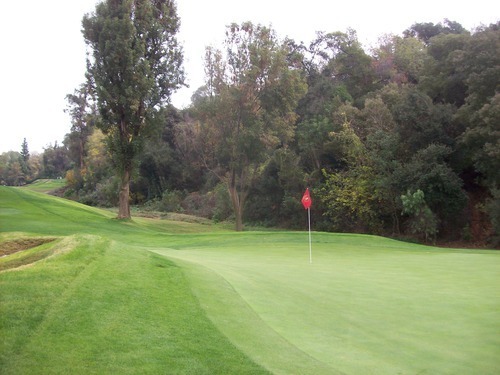 A small creek also runs up the left, so it requires a nice shot to tame this hole. 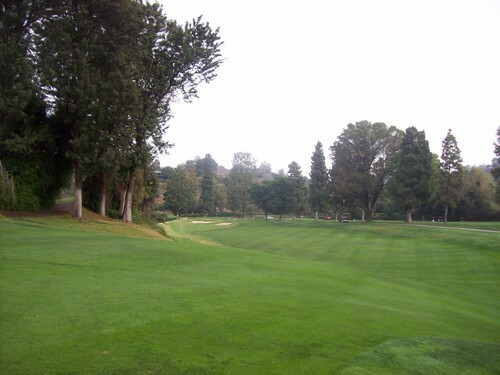 The course was in exceptional condition all the way around. With it being a maintenance day, we saw a ton of workers throughout the course and they are doing a great job. 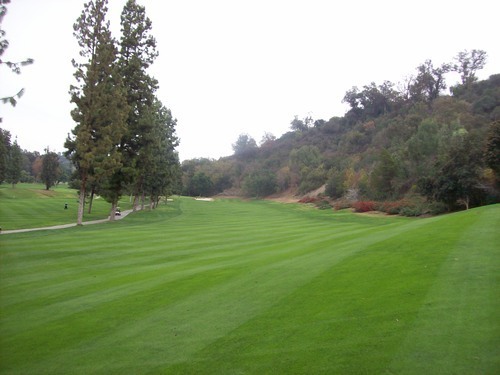 Even after the rains, the course drained well and wasn’t too soggy in any key playing areas. The tee boxes were like carpet. 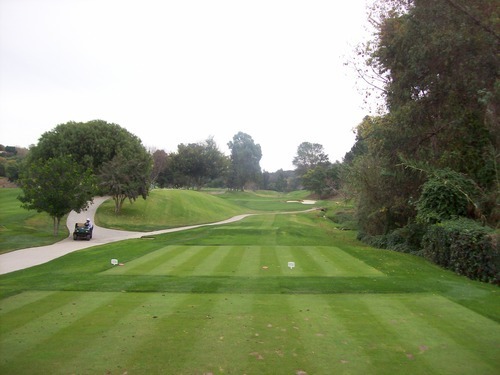 The fairways were beautiful and lush, and the rough was well maintained. With the drought you can tell they are not paying as much attention to some of the outer areas and spots that don’t come much into play, which is understandable. The bunkers had great soft sand. And as mentioned, the greens were magnificent. 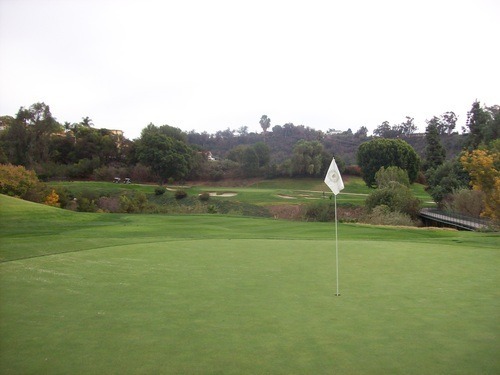 The rain softened them up significantly, so that helped with approaches, but putts were fast and true. Just perfect! If you ever get the chance to play Hacienda, jump on it. 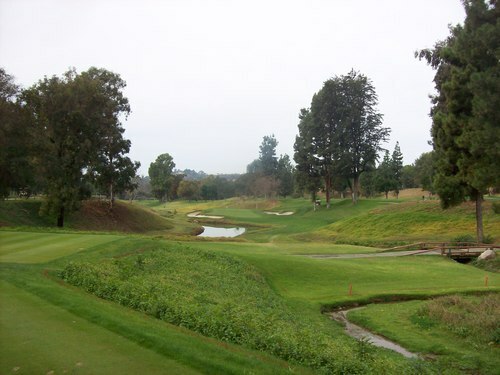 This is a great old course with a lot of character and charm.